Foot anatomy, artwork. The muscle on the left of the sole of the foot is the abductor hallucis. 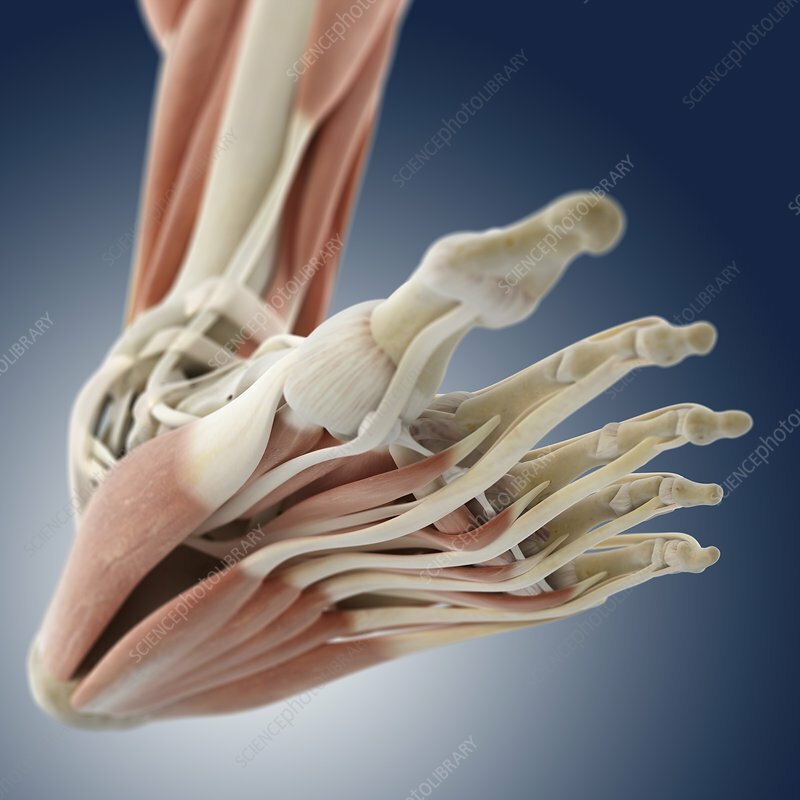 At centre is flexor digitorum brevis muscle, which acts to flex the first four toes. The muscle at right is the digiti minimi, which extends the little toe. The toes are made up of the phalanx bones (phalanges), two for the big toe and three for the others. At bottom left is the calcaneus (heel) bone.